Online personal training is getting more and more popular these days as it’s cheaper than hiring a personal trainer in the gym so now more people than ever are considering working with personal trainers online to reach their weight loss and fitness goals. 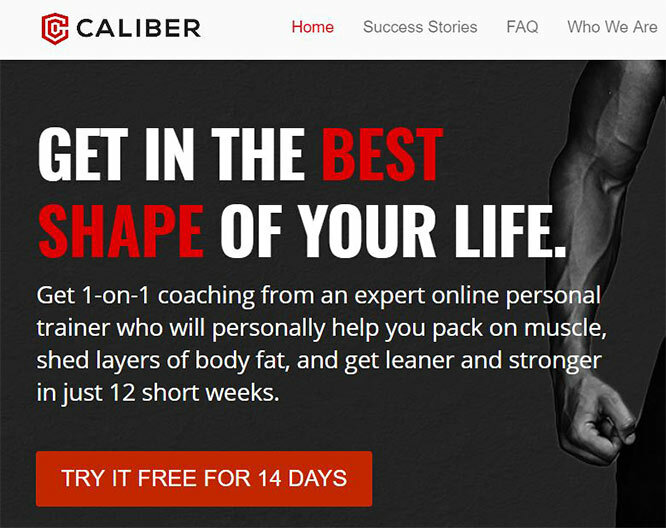 A while back I got contacted by Caliber Fitness, an online personal training company based in the USA who kindly offered me an extended free trial of their services so that I can write an honest review of the company on my blog. I was really curious to see what an online personal training is all about and although I had my worries and concerns, I was happy to get started and test Caliber Fitness services. Disclaimer: This post contains affiliate links which means I may get a small commission if you sign up with the service after clicking on a link. This does not cost you anything. I always provide my honest opinions about the products and services that I test and review on my blog. The main reason why I wanted to try online personal training was because I wanted to start a new exercise regime but what was more important for me was that I wanted to lose some weight, well some fat specifically (weight loss and fat loss is not the same). I was particularly bothered about my belly fat which seems to have increased in the past few years. 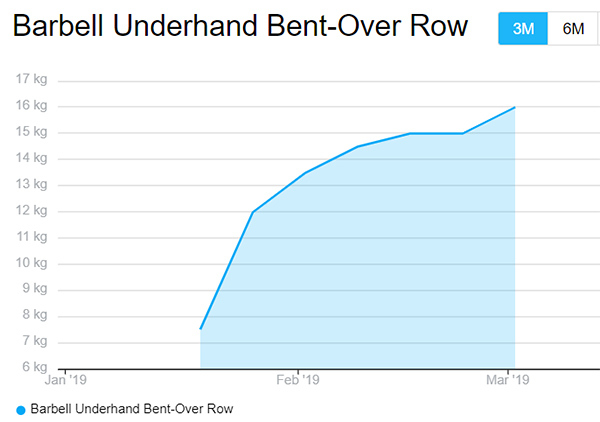 It’s interesting how body shape changes as you get older and since I’ve been in my 30s I can definitely see this change – more fat has been accumulating around my waist than I would want to although I haven’t gained that much weight. I guess this is what happens when you get older… but I am determined not to accept this and do something about it! So, I made a decision that I am going to get rid of this belly fat that’s been bothering me for a while now and what not better way of doing this than working with a qualified personal trainer online? Somebody that will guide me, tell me what I need to do, tell me what I shouldn’t do and somebody that will support me when needed. Because let’s admit it, losing weight on your own is not easy – you don’t always know what to do and how to get started. Having that support from a fitness professional really makes a difference. So what is it like to use an online personal trainer? What can you expect? Is it for beginners? Is it actually worth it? Well, let’s look at the pros and cons of online personal training first so that you can get a better idea of its benefits and flaws. 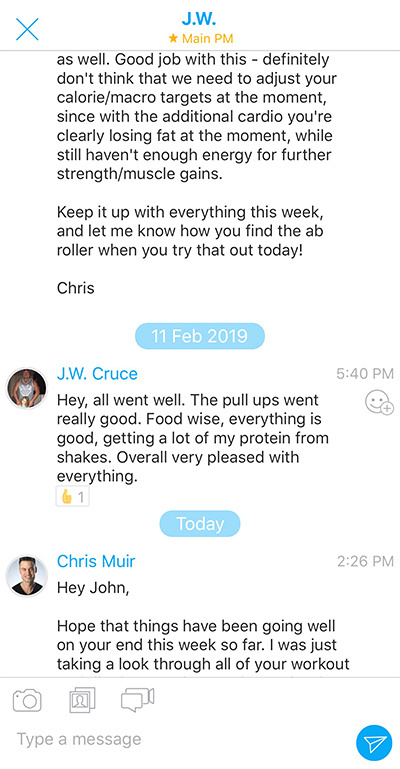 All online personal trainers have a quite similar approach but not everybody has the same systems in place (Caliber Fitness gives you access to their own app which makes it easy to follow your program and monitor your progress). First, you need to fill in the consultation form and answer questions about your current activity levels, how much time you have to exercise, what fitness experience you have and what your goals and preferences are. 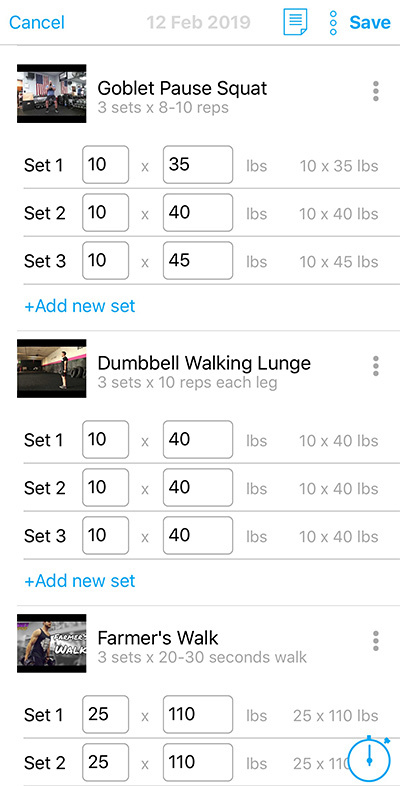 This will allow your trainer to create a custom workout and nutrition plan specific to you. 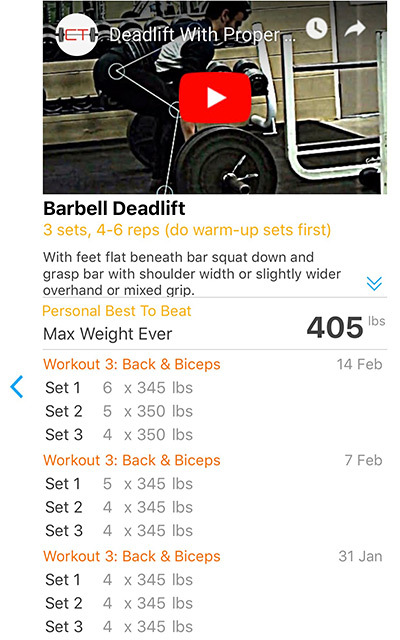 After a couple of days, you will receive a custom workout plan which will appear in the training app. Review the workouts and ask any questions if you are not clear about something. Ask for any adjustments to your workout plan, if needed. Start with your plan and ask for support as you go along. In the beginning, you will have lots of questions so make sure you ask your personal trainer everything you are not clear of or for any tips/advice. Continue working with your trainer who will support you, encourage you and motivate you. As you progress, your workout plan will need adjusting so expect some changes after a few weeks or so! After a while, your personal trainer will change your workout plan to keep you challenged and to make sure you are achieving the results you want. When I first started using Caliber Fitness online personal training, I wasn’t sure what to expect. I’ve never done anything like that before and the concept was new to me. I was slightly worried that the exercises won’t be suitable for my knees (which are not the best) but the exercises I was asked to do were quite low-impact. And as long as I keep the right form, they shouldn’t give me any problems with my knees. In the beginning, I’ve received lots of emails from my personal trainer Jacob and these were just standard emails giving me instructions on what I should do next, for example, check out the workout plan an make sure I understand everything. 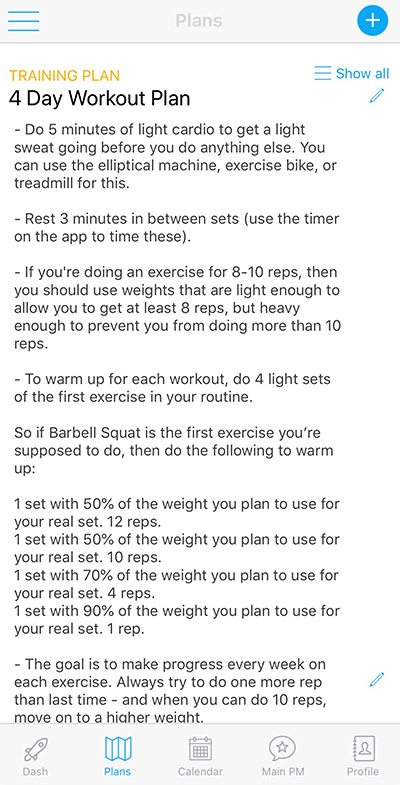 I also received some instructions on how to use the training app and the instructions for the FatSecret calorie counting app. I was asked to take pictures of my body and upload them to the app and was also asked to weigh myself every week at the same time. It’s a good thing I was already familiar with calorie counting so starting with the FatSecret app was quite easy. But I still had some questions about calorie counting and Jacob was happy to answer them and give me some good advice. My personal trainer had to see how many calories I normally eat every day and what amount of protein, carbs and fat I eat daily so that he could see whether that could be improved in any way. For the first week, I was logging calories and I would eat normally, with no restrictions. After that, I received some recommendations from Jacob about my calorie intake and my macros. There was no requirement to follow any specific diet and I could eat anything I wanted as long as I was meeting my daily nutrition goals. That’s what I really liked, no dieting! I am not going to lie, it was a lot of information to digest and lots of little things to do when first starting with my new workout program. And then I had to follow specific nutritional recommendations which was not too difficult to do, it just required some planning from my side. But the beginnings are never easy and if you want to achieve anything in your life you will need dedication and commitment. I will not go into detail about the kind of exercises I’ve been doing but you will be expected to do a variety of exercises, all targeting different part(s) of your body. The focus is on strength training as this is what will really help you lose weight. You will also be asked to do cardio exercises a few times a week in order to speed up the weight loss (if weight loss is your goal, of course). One important thing you should know is that you will need some kind of equipment for your exercises. Before your personal trainer devises a custom workout plan for you they will ask you about the type of equipment you have access to. Maybe you have things at home such as resistance bands, kettlebell and some weights. Whatever you have, let your personal trainer know so that he can then include the equipment you have in your workout plan. 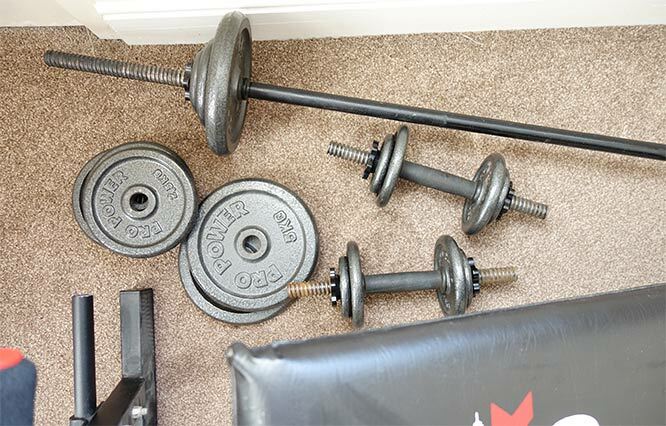 If you already go to the gym, you will have no issues with the equipment as everything you need should be there. Luckily, I have quite a lot of equipment at home which I made use of. So I started using my fiance’s weights, bench and barbell. When needed, I also used a chair and an exercise mat. If you prefer exercising at home, not having the right equipment should not stop you. It’s actually really cheap to buy it second hand, just check Facebook Marketplace for example. The exercises will be tailored to you personally so it doesn’t mean you will do the same exercises as above, these are just examples. 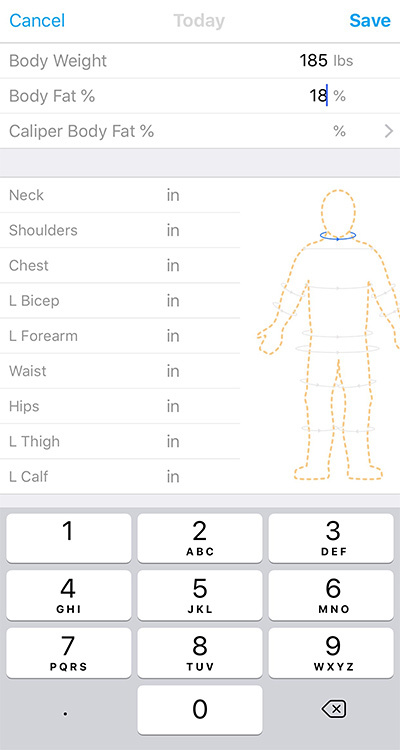 When you receive your workout plan, all the exercises and instructions will appear within the training app. The exercises are described in detail to make sure you do them correctly and you can also watch YouTube videos showing these exercises. I recommend you watch videos a few times before you get started to make sure you understand what you need to do. I also recommend watching the video as you are doing the exercise. If anything doesn’t feel right or you are struggling with the exercise, the personal trainer is there for you – he can easily suggest the alternatives or he can guide you to make sure you are using the correct form. All the exercises that I started doing were new to me and it took me some time to get used to them all. I watched all the videos so many times! I set up a long mirror in front of me to watch my form and have even filmed myself while doing them to make sure I am doing everything correctly. I’ve also asked my fiance to check my form and correct me if needed. It’s really important you get your form right from the start – that’s to avoid any injuries but also for your workout to be more effective. If you are not sure about your form, just take a video of yourself while doing the exercise and send it to your personal trainer. He will be happy to give you any feedback. There is an option to send videos within the app and it’s very easily done. You can also use the app to send pictures and to chat with your trainer directly. Alternatively, if you want to get quick feedback about your form, the best place to get it is at the gym. Just ask a member of staff for help or somebody experienced who looks like he knows what he is doing. I am sure they wouldn’t mind sharing their expertise with you! I am really happy with the results I got from online personal training with Caliber Fitness so far. My main goal was to lose belly fat and I achieved that with great success. I can tell that by my belt as there is one hole difference! I didn’t measure myself around my waist before and after so I don’t know how many cms or inches I lost exactly but it’s a very notable difference. I am so much leaner around my waist now and in my stomach area. The scales are also showing less. Since I started training with Jacob I lost 3kg which may not seem like much but I didn’t have that much to lose anyway. And it’s not so much about weight loss for me it was always about fat loss. You may not lose weight but you may lose fat while building new muscles. The scales will not always tell you the whole picture so it may be better to measure yourself once a week with a tape measure trying to be as accurate as you can. Now I want to lose another 2kg to reach my target weight and I am sure I can do it, as long as I keep doing what I’ve been doing and more. In addition to everything, I am now so much stronger than I was when I first started. This makes me feel really good. It’s not showing in my physique that much (I am more toned but I didn’t bulk up) but that wasn’t my goal anyway. It’s incredibly satisfying to see that you can lift more almost every week and at the same time it’s really motivating. Now that I achieved all this I don’t want to stop and want to keep going. I don’t think I would have achieved that much without the guidance from an online personal trainer. He really kept me motivated and pushed me to do more than I thought I could do. I definitely owe my success to him and for that reason, I highly recommend you try Caliber Fitness yourself and see what you can achieve. Online personal training is no doubt effective and it does work. Remember, you can get a free trial with Caliber Fitness, just sign up here (you have nothing to lose and if you don’t like it you can always cancel).